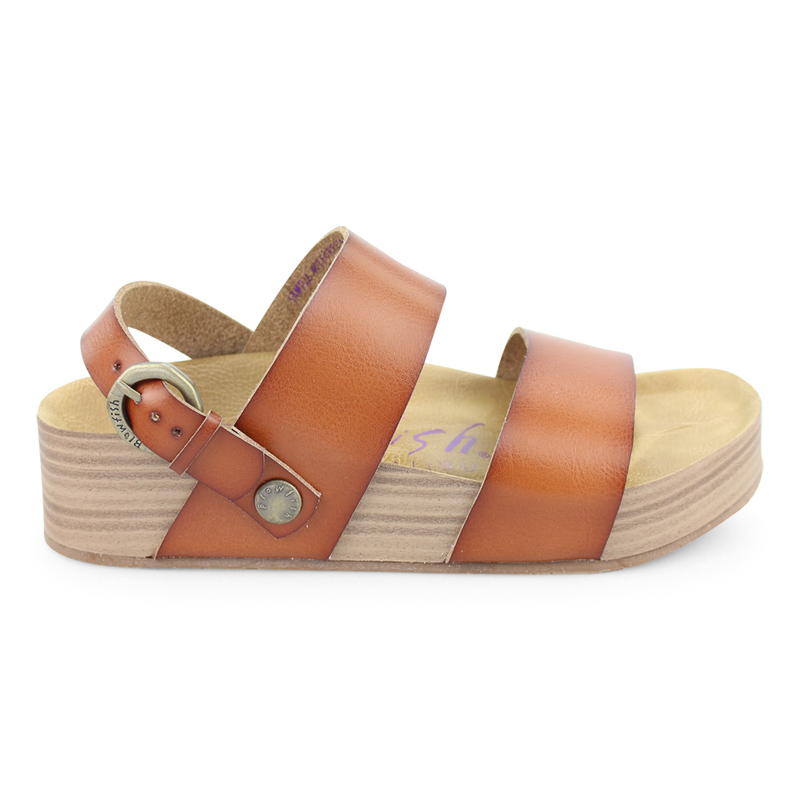 Keep your spring looks California-cool with Marge from Blowfish Malibu. 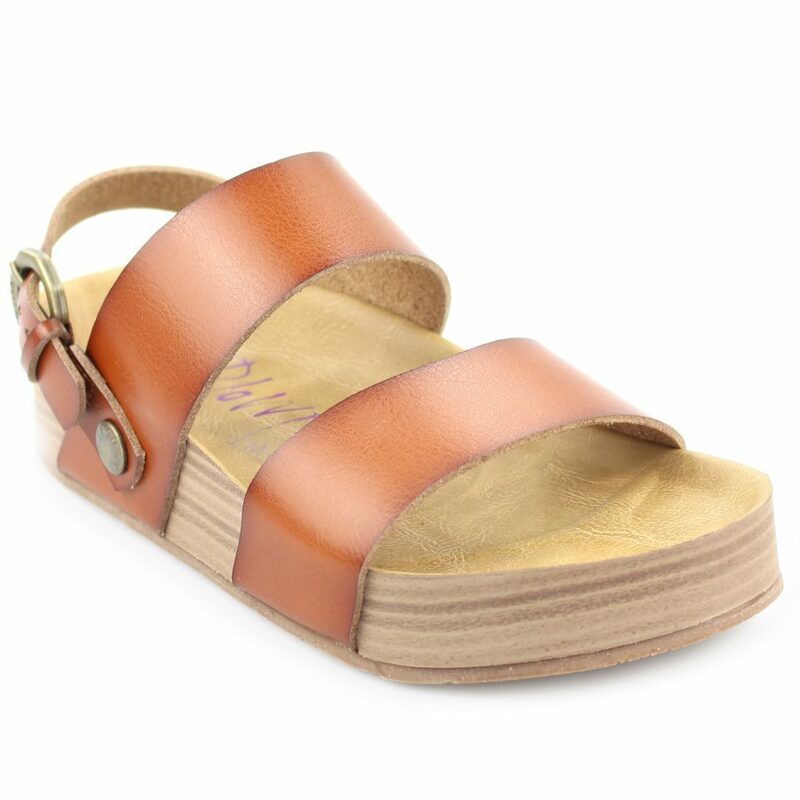 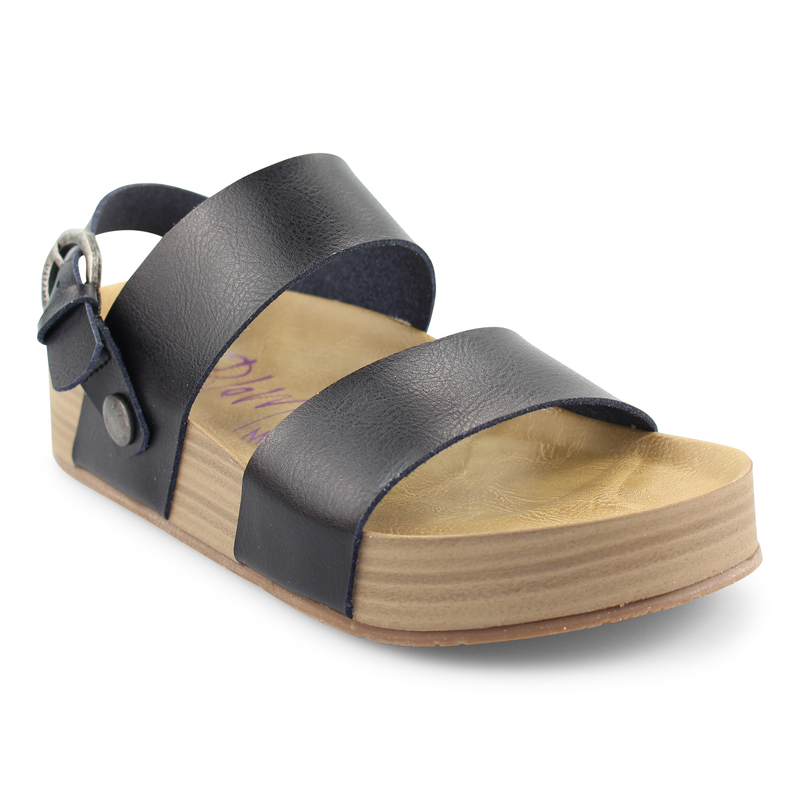 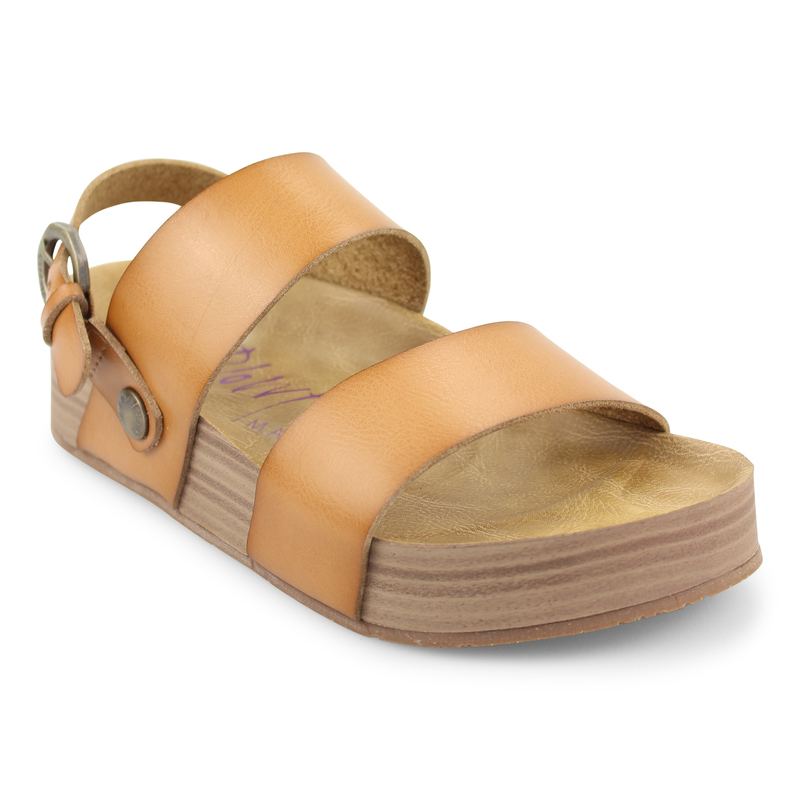 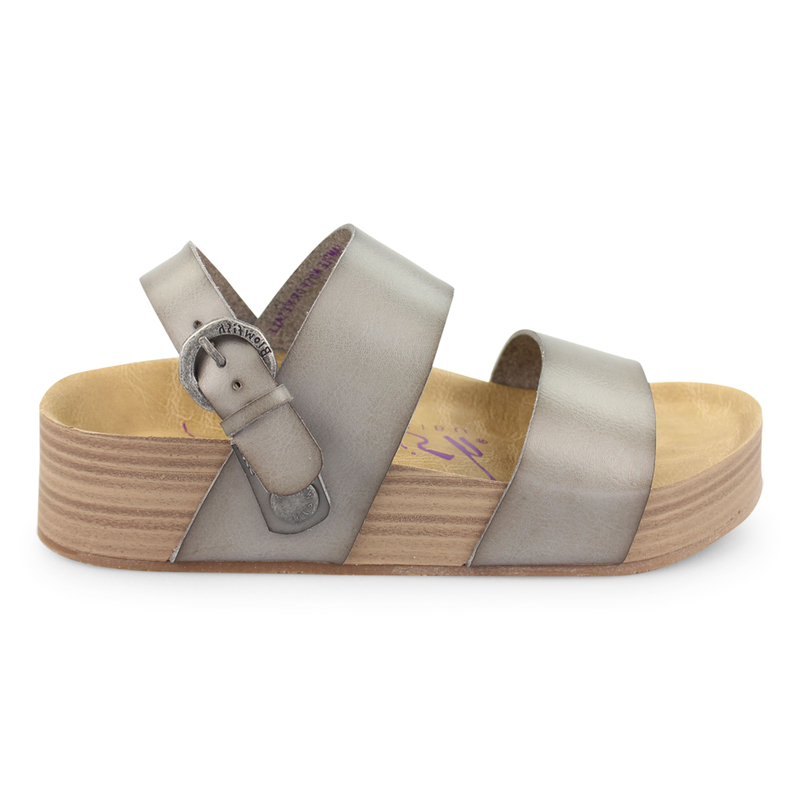 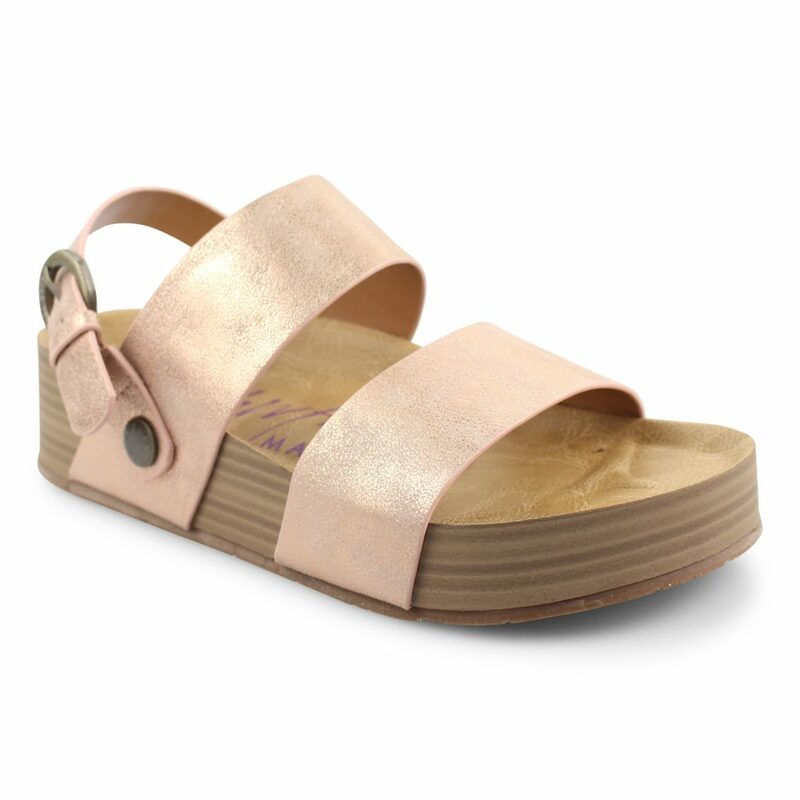 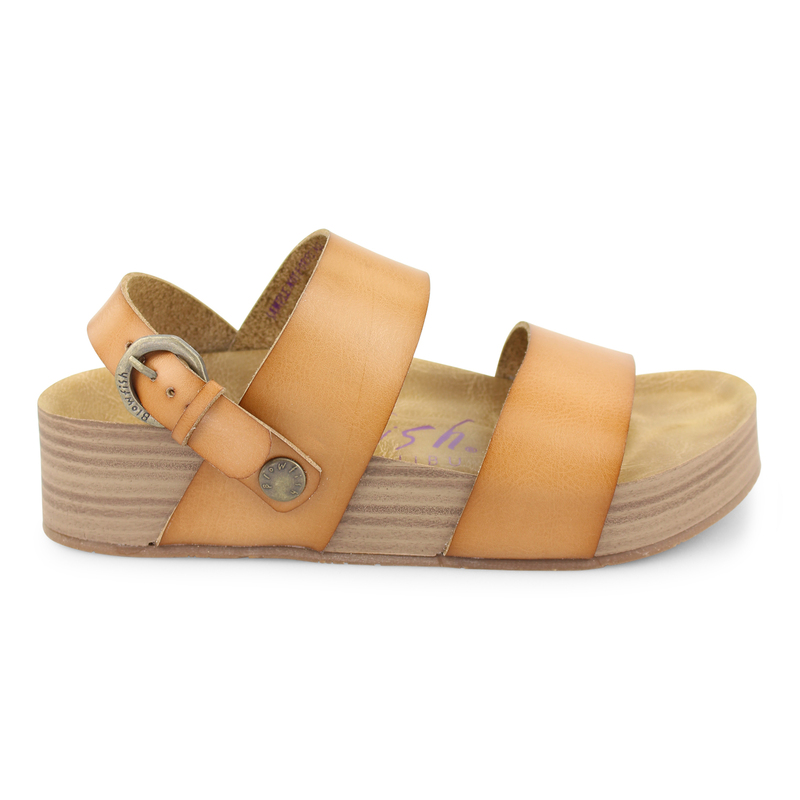 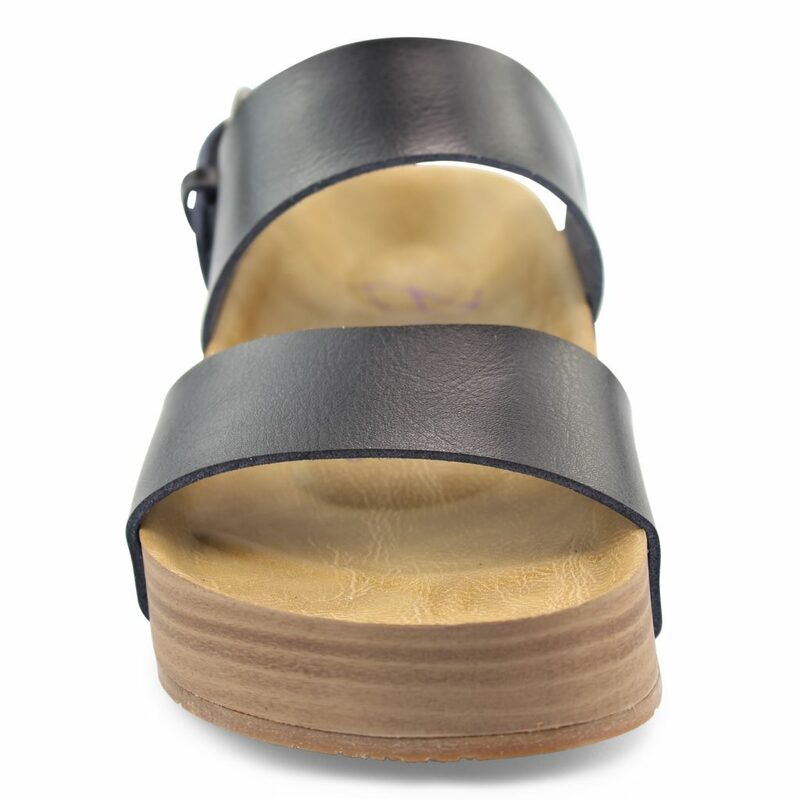 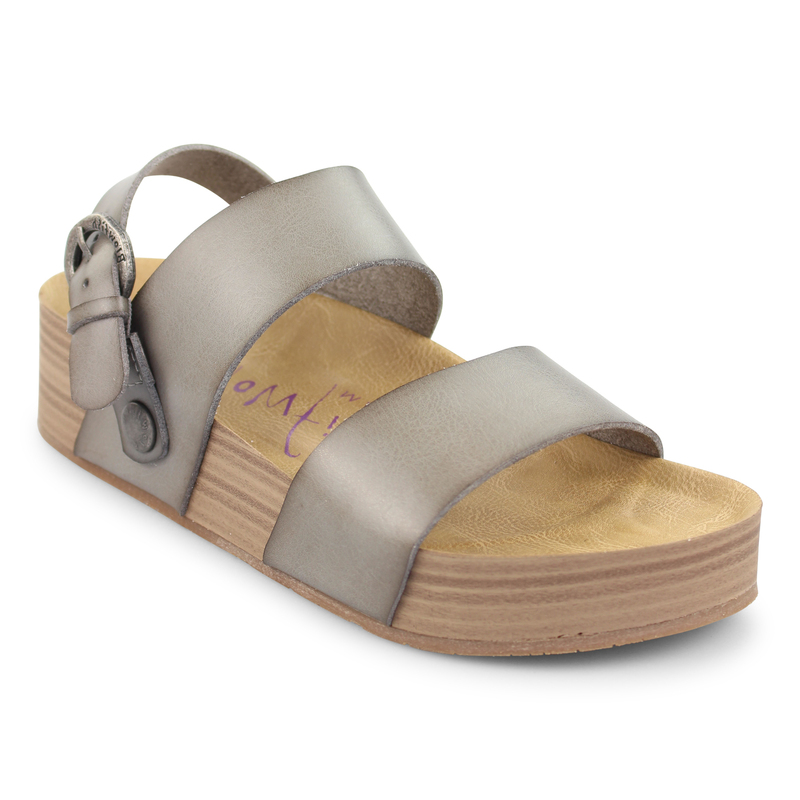 This platform sandal features a faux stacked sole with a molded footbed and faux leather upper. 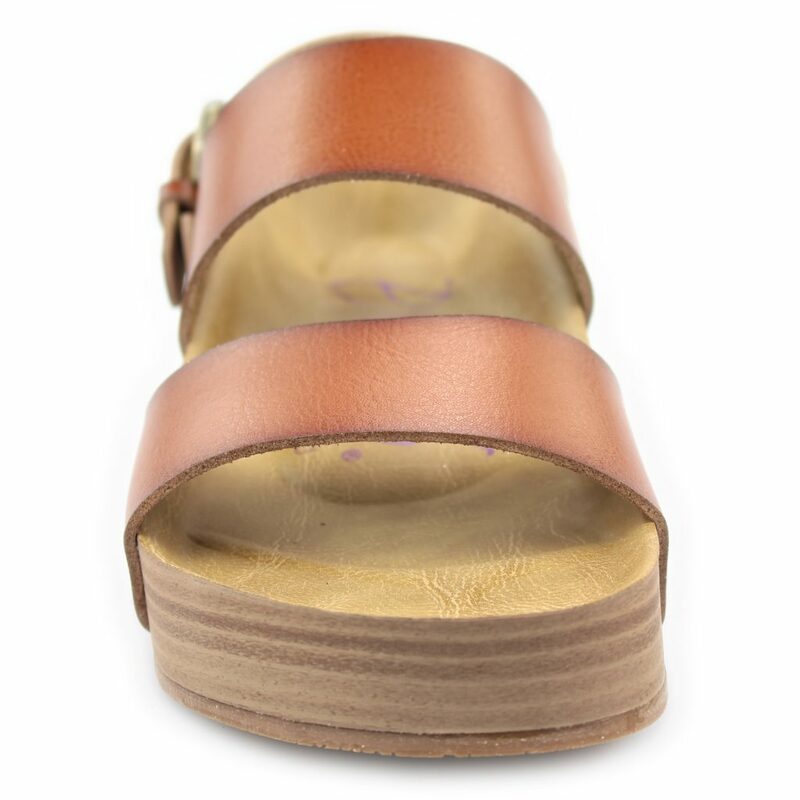 Don't forget the details, like the branded button and metal buckle closure.